used by the Children's Museum of Pittsburgh. On this Flag Day, 240 years ago, the American Continental Congress approved the design of the first American Flag. It is interesting, if still mysterious, as to why the Founding Fathers chose to include stars as a part of the “Stars and Stripes.” The American Flag was also called the “The Star-Spangled Banner” decades before this name was given to the American National Anthem. June 14 is also the anniversary of the U.S. Army. Congress approved the establishment of the "American continental army" on 1775 June 14, 2 years before approval of the U.S. Flag. Consequently, the Continental Congress approved the resolution on 1777 June 14. Of course, each of the 13 stars displayed on the flag represented one of the original British colonies, which were now designated as states of the Union. No single star represents any particular state. So, Congress did compare the new Union of 13 states to constellations in the night sky. Yet, the minutes of the Congress did not give any other details regarding the rationale for the design. With scientists such as Benjamin Franklin and Thomas Jefferson as members of the Second Continental Congress, perhaps it is not surprising that the new United States of America was considered “a new Constellation.” However, some historians believe the term “a new Constellation” (and, perhaps even the idea of having a blue field full of stars on the flag) may have been included in the resolution in tribute to Philadelphia clock-maker and astronomer David Rittenhouse. This resolution, which resulted in the Flag Act of 1777, was authored by Francis Hopkinson, who was a member of the Continental Congress, Chairman of the Navy Board under the Marine Committee (today, this position would be equivalent to Secretary of the Navy), and an admirer of University of Pennsylvania Astronomy Professor David Rittenhouse. In addition to his scientific pursuits, Professor Rittenhouse served as Treasurer of Pennsylvania from 1779 to 1787, and on behalf of the Federal Government he founded the U.S. Mint in 1792. Legend has it that the first American Flag was designed by Philadelphia seamstress Betsy Ross in June of 1776, at the request of a committee composed of George Washington, Robert Morris, and George Ross (Betsy Ross' uncle-in-law). Historians now doubt this, as there is no record of any such committee. It was not until a century later, around the time of the American Centennial, that the claim that Mrs. Ross designed the first flag was promoted by her grandson, William J. Canby. It was at this time that Mr. Canby made the claim in a historical research paper submitted to the Historical Society of Pennsylvania. To verify this claim, he used information from his aunt, Clarissa Sydney (Claypoole) Wilson in 1857, 20 years after the death of Betsy Ross. Ironically, it was on 1777 June 15, the day after the Continental Congress approved the Flag resolution, that Betsy Ross married her second (of three) husband, Joseph Ashburn. Apparently, her first husband, John Ross, had died from a gunpowder explosion, while guarding munitions during the Revolutionary War as a member of the local Pennsylvania Provincial Militia; however, some family members doubt this story. It is now believed that Betsy Ross was just one of several Philadelphia flag makers for the government and military of the new nation. Historical evidence (journals of the Continental Congress) has led to the conclusion that Francis Hopkinson actually designed the first U.S. Flag. Although, after several attempts to receive payment for the design of the flag, Congress refused to pay Mr. Hopkinson, stating that Mr. Hopkinson was already being paid as a member of Congress. Although all new versions (with additional stars representing new states admitted to the Union) of the American Flag are now unveiled on Independence Day, Flag Day has been celebrated for more than a century as the anniversary of our nation's standard. The earliest suggestion for a Flag Day seems to have come from George and Victor Morris of Hartford, Connecticut in 1861. That year, the City of Hartford held an official ceremony commemorating Flag Day; however, it did not become a tradition. Pittsburgh native William T. Kerr was also very active promoting Flag Day after he founded the American Flag Day Association of Western Pennsylvania in 1888. The very next year he became National Chairman of the American Flag Day Association, a position he held for 50 years! Pennsylvania became the first state to declare Flag Day as a state holiday beginning on 1937 June 14, with the first official celebration in the Pittsburgh suburb of Rennerdale. U.S. President Woodrow Wilson issued the first Presidential Proclamation establishing Flag Day on 1916 May 30. In August of 1949, an Act of Congress established National Flag Day on June 14 of each year. William T. Kerr attended the signing of the Congressional Act, by U.S. President Harry S. Truman. Actually, national flags were not common in the era of the American Revolution. This may explain why the Flag resolution came from the Marine Committee of the Continental Congress, and the resolution came between two other unrelated Committee resolutions. This resolution may have primarily been meant to approve the design of a Naval Ensign to fly on U.S. war ships. On the very first flag, each of the 13 stripes also represented the first 13 states. However, on the second American Flag, which was officially unveiled on 1795 May 1, there were 15 stars and 15 stripes. The 2 extra stars and 2 extra stripes represented the admission to the Union of 2 new states: Vermont and Kentucky. However, as other new states started to enter the Union, it quickly became apparent that adding a new stripe, for each new state, was not feasible. So the third American Flag, unveiled after the War of 1812 on 1818 July 4 (from then-on, all new flags were unveiled on Independence Day), reverted to 13 stripes, memorializing the original 13 colonies which broke-away from the British Empire on 1776 July 4. Each new American Flag included new stars, for the new states recently admitted to the Union. In 1818, the new stars signified the admission of the states of Indiana, Louisiana, Mississippi, Ohio, and Tennessee—for a grand total of 20 stars. With the admission to the Union of Arizona and New Mexico, the American Flag reached 48 stars, for all 48 states in the continental United States, in 1912. After the admission of Alaska to the Union on 1959 January 3, for just one year the American Flag had 49 stars beginning on 1959 July 4. Interestingly, the Alaska state flag also includes stars forming the well-known Asterism of the Big Dipper (in the Constellation of Ursa Major). Additionally, the largest displayed star in the right-hand corner of the flag is Polaris, currently our North Star. Ursa Major, known as the Big Bear, symbolizes an animal indigenous to Alaska. Another Asterism well-known in Earth's Southern Hemisphere, the Southern Cross, appears on the flags of five other nations: Australia (1 small, 5-pointed star and 4 larger, 7-pointed stars representing the Southern Cross Asterism along with a large, 7-pointed star known as the Commonwealth Star), Brazil (stars in position as viewed from Rio de Janeiro on 1889 November 15, including the Southern Cross Asterism; each star represents one of the Federated states / units), New Zealand, Papua New Guinea, and Samoa. Additionally, the flag of Uzbekistan includes 12 stars, which represent the 12 months of the Islamic Calendar and the 12 Constellations of the Zodiac. The admission of Hawaii on 1959 August 21, after being a Territory for several decades, brought the Union to a total of 50 states, as it is today. The 50-star American flag was unveiled on 1960 July 4. There are two reasons why 5-pointed stars were used on the American Flag, rather than 6-pointed stars which are used on some flags of other nations today. Five-pointed stars are the easiest to create on a fabric (Although, it is also considered a legend that Betsy Ross convinced George Washington that 5-pointed stars were easier and faster to create than 6-pointed stars.). Also, this minimalist design is the easiest to recognize from a ship miles away. Actually, stars are now a fairly popular aspect of the flags of many states and nations, with many of these stars being a depiction of our own Sun. It seems that the stars on the American Flag were a good example, copied by other states and nations for their own flags. State flags with one or more stars include Alaska [Asterism of the Big Dipper and Star Polaris (currently our North Star)], Arizona, Arkansas, Georgia (includes Confederate Battle Flag), Indiana, Mississippi (includes Confederate Battle Flag), Missouri, Montana (Rising Sun), Nevada, New Hampshire (Rising Sun), New Mexico (Sun), New York (Rising Sun), North Carolina, North Dakota, Ohio, Oregon (Rising Sun), Rhode Island, Tennessee, Texas. Additionally, Kansas includes a Sunflower on their flag. There are also stars on the flags of the District of Columbia and the Commonwealth (Territory) of Puerto Rico. The only Canadian Province to include a star on their flag is British Columbia (Rising Sun). It should be noted that the flag popularly associated with the Confederate States of America (with a blue X containing 13 stars, on a red field) was really the Confederate Battle Flag. The 13 stars represented the 11 seceding states plus Kentucky and Missouri; although Kentucky and Missouri never officially seceded from the Union, the 2 additional stars represented rebel governments of those 2 states. The Confederate National Flag, known as the “Stars and Bars,” which contained 7, and later 13, stars for the seceding states, looked too much like the American Flag to be used on the battlefield. Other nations which include one or more stars on their flags include Algeria, Angola, Antigua and Barbuda (a half Sun), Australia (1 small, 5-pointed star and 4 larger, 7-pointed stars representing the Southern Cross Asterism and a large, 7-pointed star known as the Commonwealth Star), Azerbaijan, Brazil (stars in position as viewed from Rio de Janeiro on 1889 November 15, including the Southern Cross Asterism; each star represents one of the Federated states / units), Bosnia and Herzegovina, Burkina Faso, Burundi (3 6-pointed stars), Cameroon, Cape Verde, Central African Republic, Chile, Peoples' Republic of China, Comoros, Democratic Republic of the Congo, Cuba, Djibouti, Dominica, Ethiopia, Ghana, Grenada, Guinea-Bissau, Honduras, Israel (6-pointed star), Japan as (Rising Sun), Jordan (7-pointed star), Kazakhstan (gold sun), Kiribati (a half Sun), Democratic Republic of Korea (North Korea), Kosovo, Kyrgyzstan (Sun), Liberia, Libya, Macedonia (Sun), Malawi (Rising Sun), Malaysia (14-point star), Marshall Islands (large white star with 4 large rays and 20 small rays), Mauritania, Micronesia, Morocco, Mozambique, Myanmar (Burma), Namibia (Sun), Nauru (Sun), Nepal (Sun), New Zealand (Southern Cross Asterism), Pakistan, Panama, Papua New Guinea (Southern Cross Asterism), Philippines (3 gold stars and 8-rayed gold Sun), Rwanda (Sun), St. Kitts and Nevis, Samoa (Southern Cross Asterism), Sao Tome and Principe, Senegal, Solomon Islands (5 stars represent number of provinces in 1977, 8 months before independence from the United Kingdom), Somalia, South Sudan, Suriname, Syria, Republic of China (Taiwan) (Sun), Timor-Leste (East Timor), Togo, Tunisia, Turkey, Turkmenistan, (5 stars represent 5 regions of country), Tuvalu (9 stars represent 9 islands of this mid-Pacific Ocean country), Uruguay (Sun), Uzbekistan (12 stars represent the 12 months of the Islamic Calendar and the 12 constellations of the Zodiac), Venezuela, Vietnam, Zimbabwe. "160th B-day: Transit of Venus Admirer John Philip Sousa." 2014 Nov. 6. "Bicentennial: National Anthem Inspired by British Rockets." 2014 Sept. 14. 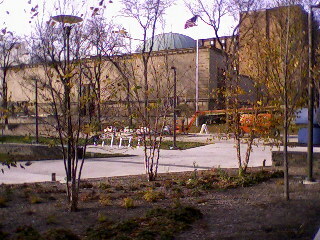 "Historic Buhl Planetarium Flag Pole Refurbished, Back-in-Use." 2013 Dec. 7. "U.S. Flag That Survived Challenger Disaster: Romney Displays." 2012 Nov. 4. "Most U.S. Flags on Moon Still Standing." 2012 July 28.